Romantic and modern, Xiomara has it all. 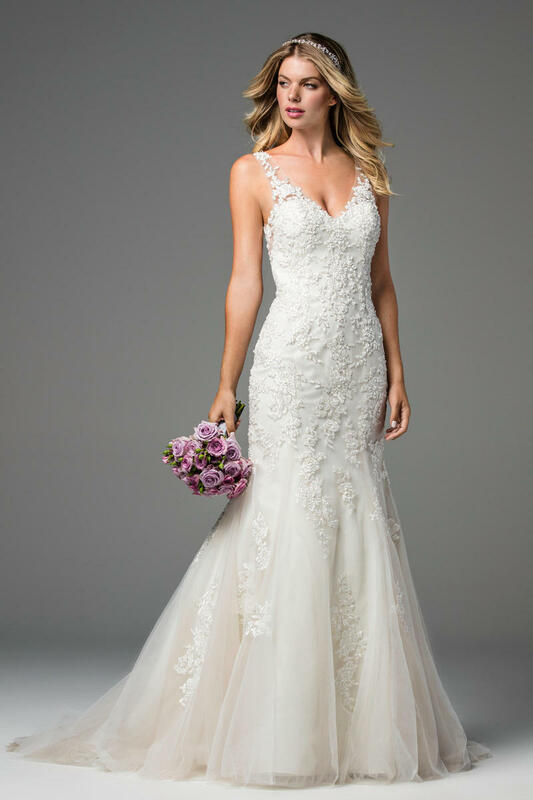 Featuring a Toscana Motif, this gown's intricately crafted details and thoughtfully placed beading highlight the open, illusion back. Pearl buttons along the back add the final details that pull this exquisite gown together. Chapel train.